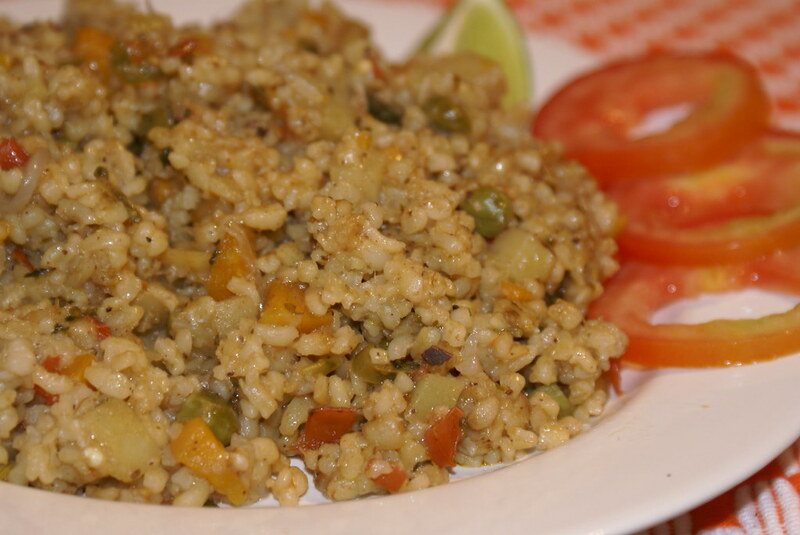 Bulgur holds a place in recipes similar to rice or cous cous but with a higher nutritional value. This Middle Eastern staple sounds more exotic than it is; bulgur is what’s left after wheat kernels have been steamed, dried, and crushed. This cereal grain has been a food staple for years because it offers an inexpensive source of low-fat protein, making it a wonderfully nutritious addition to your low-calorie meal plan. Heat oil in a wide saucepan, add bay leaves, mint leaves, onions and green chilies. Fry for 2 mins and add ginger garlic paste. Fry till golden brown. Add carrots, potatoes, garam masala and salt. Fry till half done. Then add the bulgur and water. Adjust salt. Add coriander leaves and cook covered till done. Healthy and Nutritious with lots of fiber. A comfort meal on a cloudy and lazy evening! I love the texture of bulgur. Your pilaf is very good. Pilaf looks good!I’ve never bought bulgar before.Maybe I should try now. This one is really healthy and nutritious. This looks a good entry for express cooking. Why don’t you send it? that is quite new and nice. very healthy looking too. I love it, healthy and tasty too. 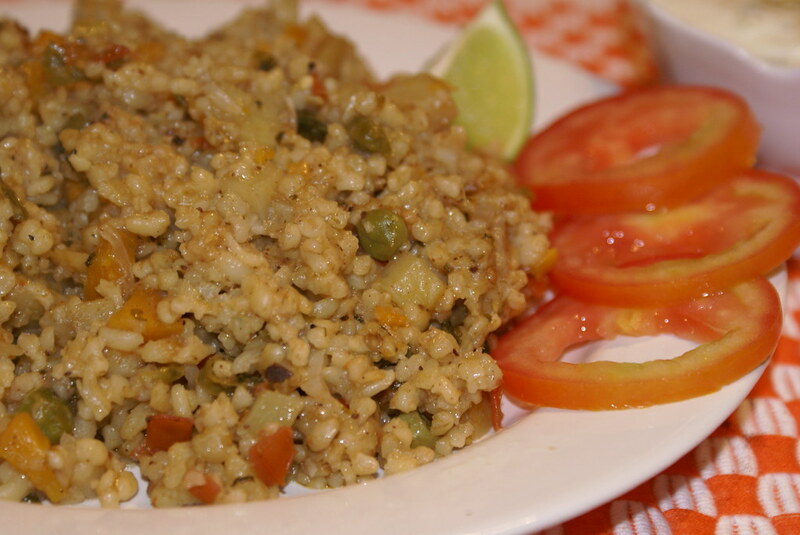 I do have a recipe for Bulgur Pilau on my blog. my mother makes it often for herself, she loves it! Suma, yes it is indeed! Archana..ya i could, I dint get that thought. Thanks for suggesting! Saju, I checked ur version, it is very good! This is quite new to me. Nice definition about bulgur. I have only tried tabbouleh with bulgur. Time to make pulao, I guess. I made something similar with dalia last week. Yours looks lovely. Like many even i always thought bulgur is cracked wheat. it rocks. I made this with the beef broth. I thoroughly enjoyed the recipe, but it is a bit much for just one person to eat. I don't know if it's my crackpot, but this was done WAY before the 6-8 hours required.